Took us 1 hr 3 min to finish the marathon. Celebrating the completion of the marathon. 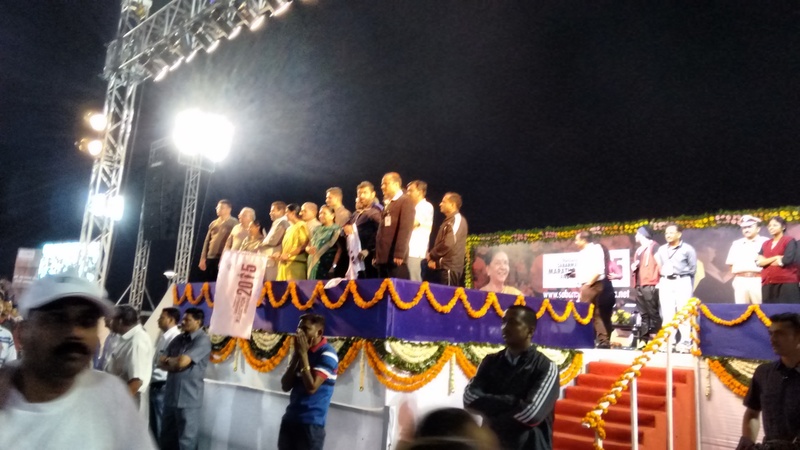 Both the sun and the city of Ahmedabad are yet to rise, but the 7,000+ crowd is enthusiastic. We wait restlessly in a large ground on the banks of the Sabarmati river, as the Gujarat CM Anandiben Patel flags us off after a short speech on health and cleanliness. I am here with my sister, her husband and my cousins to participate in the Sabarmati marathon. 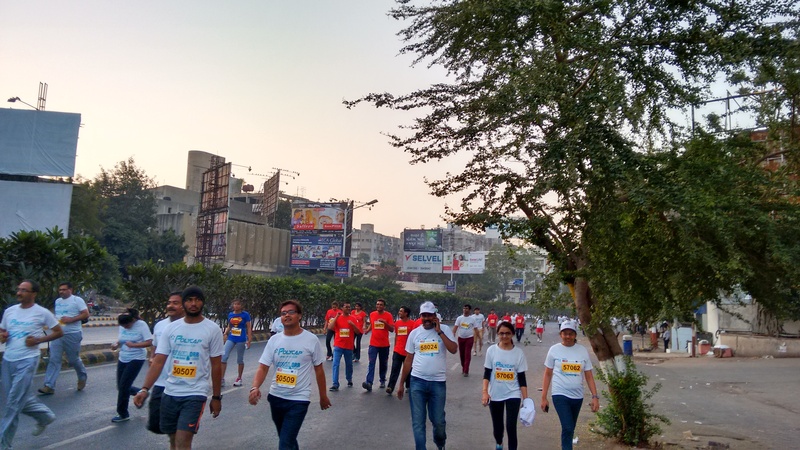 Initially, I was a trifle hesitant when they asked me to join – walking 5+ kms is fine, but running? 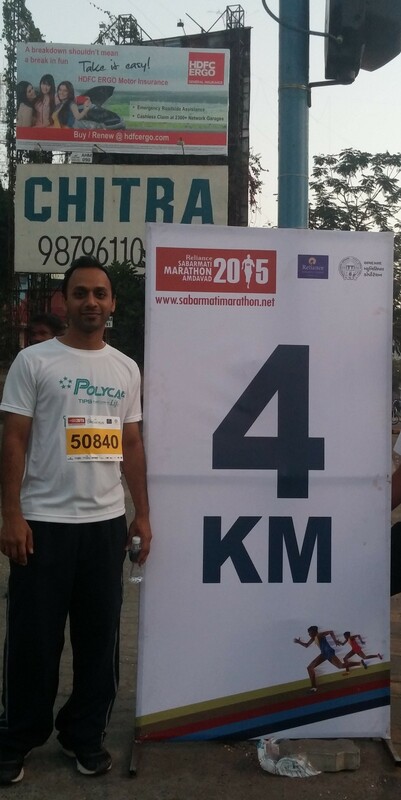 2 years ago, when I was all pumped up for the Hyderabad marathon, I practised for 2 weeks. In that duration, I lost more weight than I had gained in 6 months! But looking at their enthusiasm, I am unable to resist. 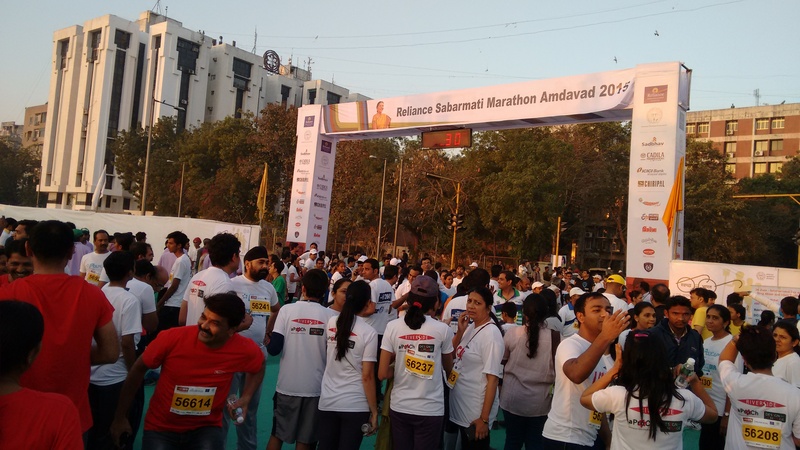 While writing this piece, I found out that it is not just them, entire India seems to be going marathon-crazy – there are more than 250 marathons scheduled this year! We start at 6.25 am. The temperature is cool. We are on the Dream Run of 7 km and majority of us on this route are here for enjoyment. The serious runners are on a separate track. 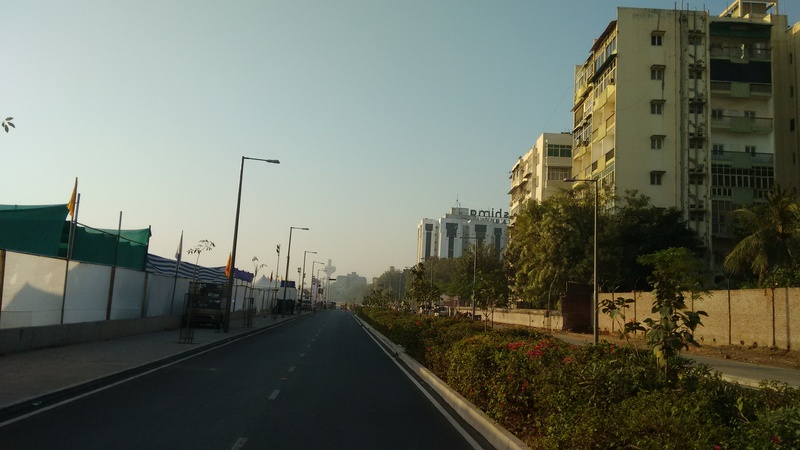 Except for the start and end points which are near the river, the route takes us on the usually busy thoroughfares of Ashram road and C G road. 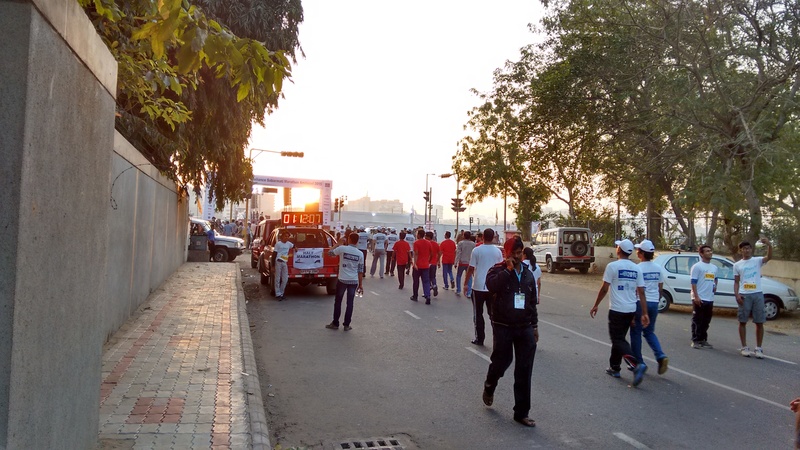 But this marathon is across a large portion of western Ahmedabad and lots of people are angry with the roads being blocked till 9 am. At each major junction, the police hold back fuming commuters. I don’t really run, just jog and walk most of the distance. Other than walkers like me, there are people from various corporate as well as spiritual groups, trying to spread their message. Takes us 1 hour and 3 minutes to finish the marathon. Water, juice packets, bananas and biscuits are handed over to the participants as they make their way back to the ground. Anandiben Patel (in green sari) flags us off. Major roads were blocked for traffic. The famed Patang hotel on the horizon.